BRIEF HISTORY - Underlined persons link to biographies or other family trees. The first mention of the surname is Guillaume "in 1430 at Bourg d'Ire, Maine et Loire, also a Guillaume "AUDECENT" m. 13/6/1564 Bourg d'Ire, Maine et Loire, Guillemine DELLYMELLE, and later we find Marie "AUDESANT" m. 10/5/1639 St Germain-en-Laye, Seine et Oise, France, Francois PAGET . The English branch of the family AUDECENT originate from ProsperAudcent a successful man of humble origins, who married in 1835 into the ancient and aristocratic family Pinot de Moira (See page 6), Marquis & Comtes de Rochemaure and Rochepaule, at Rouen in 1835. Prosper was described as an Actor ('Artiste Dramatique') in 1838 on the birth certificate of his son Arthur, and earlier and afterwards, he appears to have been a Lithographic Artist, in the same business as his father Jean Pierre who had apparently moved from Chateaudun to Paris. Prosper moved a lot, as can be seen from the places of birth of his children: Prosper himself born in Chateaudun in 1811, was married at Rouen to Anne Marie Louise Henriette Silvie Pinot de Moira, where his first child Marie (1836) was born, then to Bordeaux where Arthur his son was born (1838) and finally to Paris where his third child and second daughter Armandine was born (1841). In 1842 he appeared at the theatre des Batignolles (now Theatre Herbertot, 78 Boulevard des Batignolles, Paris 17e) to some acclaim, when he played the role of the painter in "Les Fees de Paris" which was a comedie by Jean Francois Alfred Bayard. Unfortunately the marriage was not a success. we learn that on the 31/3/1847, he (holding the occupation of Engineer) and his wife were living at 21 Rue de Valverde, Madrid, on that date appeared before Alphonse Liger, honorary Consul and Chancellor of the Franch Embassy, Madrid to agree a deed of separation. We learn from other sources, that she applied to Paris to be an inspector of Nursery Schools in 1856 she is quoted as stating that her husband was a 'spendthrift writer'. In the event she only undertook these duties for three years or so and died in 1859 and was buried at Clermont Ferrand. He was resident at 18 Boulevard de Poisonniers in Paris 18e arrondisement in 1861, and described as living on private means, when he consented to the marriage of his youngest daughter Armandine. He died in apparent poverty described as 'artiste dramatique' on 17/1/1862 at Villers Cotterets, Aisne. Prosper was the first person to officially use the style of name AUDCENT, without the central 'e' and signed his marriage Certificate in this fashion - although he is described in that document as an AUDECENT. His daughter Armandine, funnily, always kept the 'e' in her name, we know little of the other daughter Marie. There is a full biography of him on the DOCUMENTS page being Item 20.. Nothing was known of the family until I commenced my researches. Marguerite Audcent, my great aunt, sister of Henri Audcent (my grandfather) thought that Prosper originated from Poitou. Interestingly she had lived at Chaussepot, Courtelain, governess of the family de Kish de Nemesker for many years, their Chateau situated very close to the town of Chateaudun, Eure et Loir, without any knowledge of the origins of the family from that town. 2 generations of the family had been brought up by their maternal relations 'Pinot de Moira', and were told nothing of their own forebears or cousins. I am now stuck, and I will need the help of someone, hopefully a long lost relative, in the Eure et Loir or adjoining departements willing to check the location of the early records - before making a further visit to undertake the detailed research. Any long lost cousins should contact me, they would be very welcome. Jean PIER 2nd of name b. 26/1/1728 St Aignan bur. 21/3/1728 St Aignan, aged 2 months. Thomas PIER b. & bap 19/12/1743 St Aignan, having for Godfather Jean Barre, Seagier, and for Godmother Marie Chapelou dtr of Laurent Chapelou, Carbaretier. Philippe Louis PIER b & bap 19/12/1743 St Aignan, having for Godfather Philippe Haudessant (this is obviously his uncle), resident at the Hotel de Dieu, and for Godmother Louise Lanneray. Marie Francoise PIER b & bap 11/9/1748 St Aignan, having for Godfather, Francois Audet of the parish of St Valerian and for Godmother Marie Chasselou dtr of the late Laurent Chasselou. Philippe 'Marin' HODSAN (NB His mother's name quoted incorrectly as Marie Miche) bap 25/10/1705 St Aignan, Chateaudun having for Godparents, Edme Guenneau son of the late Marin Guenneau and Marie Malidor dtr of Marin Malidor, d. 8/9/1709 St Aignan, aged 4 was buried on that day St Aignan Chateaudun. Marie Anne Francoise CLEMENT b & bap 28/1/1760 St Aignan, having for Godparents, Pierre Clement, vigneron and Marie Anne Haudessant, d. 3/2/1774 and bur St Aignan, Chateasudun, next day. Pierre Alexandre CLEMENT b & bap 14/7/1761 St Aignan, having for Godparents, Pierre Rotrou, marchand de vache, and Marie Haudessant, dtr of Jacques Haudessant, master mason. Louis Henry CLEMENT b & bap 22/5/1766 St Aignan, having for Godparents, Louis Dareau, Journalier his uncle, and Louise Hodessant his aunt d. 12/4/1777 St Aignan, Chateaudun bur next day. Francoise CLEMENT bap 30/3/1668 St Aignan having for Godfather Mathieu Lescarbaut, master carpenter and for Godmother Francoise Communeau wife of Servais Antoine, bur 28/5/1668 St Aignan a baby. Victoire Sophie CLEMENT bap 30/3/1668 St Aignan having for Godfather Jacques Haudesan, tailor, and for Godmother Marie Louise Francoise Gouin, dtr minor of Pierre Gouin, master meunier. Marie Anne HAUDESANT b day before & bap 20/7/1737 St Aignan, Chateaudun having for Godparents, Gregoire Gevay merchant and Marie Bouard dtr of the late Agnan Bouard vigneron. Marie Magdelaine Catherine LA PLACE b, 29/4/1770 bap same day St Aignan, Chateaudun, having for Godparents, Francois Brizacier (he signed) master serrurier and Marie Haudessan wife of Mathieu Lescarbault master carpenter. Jacques Francois RODE b c 1768 d. 7/2/1783 aged 15, St Aignan, Chateaudun stated as son of Francois Rode called La Place, journalier . Marie Francoise RODE bur. 28/4/1773 St Aignan, Chateaudun. Marie Magdelaine RODE b. 11/3/1774 having for Godparents, Mathieu Lescarbault and Marie Marguerite Rotrou wife of Pierre Queton d. age 2 months 27/5/1774 in same parish. Alexandre Francois RODE b. 8/3/1779 St Aignan, Chateaudun having for Godparents Alexandre Louis Francois Gouin son of Francois Grouin, gardener and Marie Madelaine Godard dtr of Michel Godard. Marie HODESSANT bap 25/9/1741 St Aignan, born the day before, having for Godparents, Philippe Haudessant, Mason and for Godmother Marie Houlier dtr of the late Pierre Houlier, vigneron, d. 17 Fruct 12, m. 7/2/1764 St Aignan, Mathieu LESCARBAULT the son of the late Mathieu and his wife Marie Maillard, among the witnesses her parents, and Jacques Haudessant her brother, francoise Clement her brother-in-law. Louise HAUDESSANT b & bap 12/7/1744 St Aignan, having for Godparents, Pierre Gagnery, meunier, & for Godmother Gabriel Salmon, wife of Gregoire Geray. Jacques HODESSANT b & bap 15/11/1746 St Aignan, having for Godfather, Rene Curet, and for Godmother Marie Bordet widow of Laurent Chapelou, Carbaretier. Jean Baptiste HAUDESANT bap 11/4/1750 St Aignan having for Godmother Renee Haudesant and for Godfather Jean Baron. Catherine Francoise HAUDESSANT bap 30/1/1752 born previous day having for Godfather, Hylaire Bailly, cardeur, and for godmother Catherine Francoise Allard dtr of Francois Allard, Master Mason. 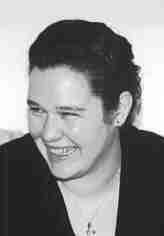 Marie Anne HODSAN (2nd of name) b. 3/10/1716 St Aignan, Chateaudun having for Godparents Jacques Touchard son of Jacques Touchard and the late Anne Vachot, and Denise Hautsan sister of the child, bur 29/7/1723 aged 7 (b c1716) - this record shows a very good spelling of her mother's name. Philippe HAUDESSAN b 19/7/1719 & bap 20/7/1719 St Aignan, having for Godfather Francois Goulet, vigneron and for Godmother Louise ?Fevrier wife of Jacques Sigoyne, d. 4/1/1748 aged 28 bur nest day St Aignan, domestique servant at the Hotel de Dieu (Cathedral), signed in the presence of his brother-in-law Cosme Pier mason. Louis Alexandre AUXENT B. 6/6/1790 St Valerien, Chateaudun having for Godparents Jacques Nicolas Sigoyne (stated as son of family) and Marie Madeleine Richard. (iii) Francoise AUXEN B 18/7/1760 St Valerien, Chateaudun, having for Godparents Francois (unreadable) and Marie Anne Guinebert d. 25/7/1760 bur same day St Valerien, Chateaudun. (v) Marie Anne AUXEN b & bap. 7/2/1763 St Valerien Chateaudun, having for godparents Jacques Guillaumin and Marie Auxen, 29/9/1765 bur St Valerien, Chateaudun aged 2.5 yrs, d. the day before. (e) Jean HODCENT bap 11/5/1735 St Valerian Chateaudun, bur. 19/5/1735 St Valerien. (i) Marie Magdelaine Angelique HODESANS b 19/8/1761 St Valerien, Chateaudun having for Godparents Mathieu Derouin and Magdelaine Angelique Lachon, d day before & bur 4/5/1762 St Valerien, Chateaudun aged 8 months in the presence of her mother. (ii) Francois HAUDSANT b. 31/5/1763 Chapelle du Noyer, first of twins. Eugene AUDECENT b 9/4/1890 Cloyes, d 25/4/1962 Cloyes, m. 4/9/1922 Juliette Victorine CHESUEAU. Justine AUDECENT b 13/4/1826 Chapelle du Noyer, d 18/2/1907 Chateaudun where she lived in the rue Fede, m. Jean Pierre DAGUY , by whom she was widowed. Augustin Alexandre AUDECENT b 1858 Cloyes. Adolphe AUDECENT, b 1832 but no entry at Chapelle du Noyer, noted as the uncle of Maximilien (second of name) Audecent, in the latters entry of marriage in April 1880 Cloyes, Adolphe was noted as living at that date in Cloyes. Juliette AUDECENT, b 31/12/1834 Chapelle du Noyer, possibly m. an Alphonse Dahy, Cantonnier (resident of Douy) noted as brother-in-law at wedding of Angelique AUDECENT, 17/12/1848 Autheuil. Toussaint Denis AUDECENT b. 23/5/1813 Chapelle du Noyer, d. 10/5/1814 Chapelle du Noyer. (iv) Marie Anne Madeleine OXAN B 2/8/1765 St Valerien, Chateaudun, having for godparents Pierre Forestier and Marie Magdelaine Guinebert, Magdelaine HAUDESANS d. 23/4/ bur 24/4/1770 St Valerien, Chateaudun aged 5 in the presence of her father. Anne Elizabeth AUXENT B. 8/10/1790 St Valerien, Chateaudun having for Godparents Francois Sale and Elizabeth Gerbault - mother's surname given as 'Bouard'. (vii) Jean Louis Francoise AUDECENT bap 19/1/1770 born the day before St Valerien, Chateaudun having for godparents Pierre Francois Carrougeau and Anne Jeanne Therese Gallon d. 10/6/ bur 11/6/1774 St Valerien, Chateaudun. (viii) Jacques OXAND b & bap 11/8/1771 St Valerien, Chateaudun, having for godparents Jacques Guillaume and Marie Cheret d. 12/6/ bur 13/6/1772 St Valerien, Chateaudun. (ix) Jacques Phillippe HAUDECAN B 28/7/1773 St Valerien, Chateaudun having for godparents Jacques Haudecan son and Marie Madelaine Genevriet. Francoise AUDECENT (1805-1863) m. Pierre LAURENT. Marie Louise FORESTIER b & bap 18/10/1770 St Valerien, Chateaudun, having for godfather Louis Antoine Baunay and for godmother Marie Louise Douvillier. (e) Marie HAUXAN b. 17/2/1748 bur next day 18/2/1748 St Valerien. (i) Marie Anne Marthe AUXENT b & bap 28/10/1783 St Valerien, Chateaudun having for Godparents, Francois ? Gertheau and Marie Marthe Nion? (ii) Marie Adelaide HAUDSANT b & Bap 13/6/1786 St Valerien, Chateaudun, having for Godparents, Pierre Foutier and Agnes Pitou she d. 14/9/1788 bur next day in the same parish. Marie Catherine PROVOST b. 17/1/1735 St Valerien, Chateaudun, she d. 1/6/1745 aged 10 bur. in the presence of her parents St Valerien, Chateaudun. Etienne PROVOST b. 23/11/1736 St Valerien, Chateaudun having for Godparents Jean Godillon and Louise ? Francois PROVOST b. 20/9/1739 having for godparents Francois Le May and Marie Catherine LeBorder. Pierre PROVOST b. 17/5/1743 St Valerien, Chateaudun having for godparents Pierre Brosseron and Anne Le Veau d. 5/6/1743 and bur St Valerien, Chateaudun. 'Justin' David AUDCENT BA (Oxon), ACA (b. 1967) Accountant, former Director, Ernst & Young, Reading now partner (June 2003) and head of Meyrick Webster Corporate Finance, Melbourne, then Partner Ernst & Young, Perth m. 1994, Fiona MacDonald ROSS, ACA, daughter of Ian Ross (d. 3/2/2015 New Zealand) and his wife Alice MacDonald. They emigrated to Australia in October 2002 and settled in Melbourne, and later moved to Perth. 'Martin' Richard AUDCENT BA , ACA, (b. 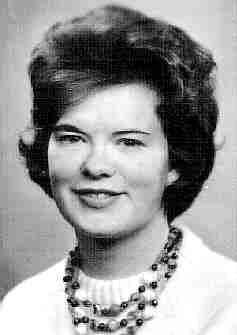 1973) former Manager, Price Waterhouse, Manchester, m 1998 Salford Cathedral, Catherine Anne MOORE, LLB daughter of Paul Moore and his wife Christine Brady. Eloise Anne VOICE (b. 1996). Julie Anne Louise AUDCENT (b. 1974) m. 1995 Adrian WILLIAMS div 2002 and had issue of 2 sons who follow, she remarried 2nd 2005 Peter JAMES.later divorced. Andrew Kevin WILLIAMS (b. 1994). Caroline Janet AUDCENT TV Production Assistant (b. 1971) m. 4/3/2011 Sydney, Australia, Michael STEINBERG. (b) Helene Marie 'Louise' AUDCENT (1877-1962) Governess to a niece (unknown) of King of Spain, spinster. (c) Raoul Armand FAUCONNET (1866-before 1816) m. dsp. (i) Felix CLUZEAU (1884-?) m. no issue by 1915. (j) Armand CLUZEAU (1886-?) m.
(k) Lucien CLUZEAU (1887-?) m.
BEAUGENDRE - Through this unlikely connection, the Audcent family are related to the Royal Families of England, France and Scotland. Alexandre BEAUGENDRE (2nd of name) Pretre, chapelain of the chapel St Jacques in the hospice des Quinze-Vingts at Paris, then cure de St Agil. He was godfather to Madeleine Beaugendre in 1643. Madeleine BEAUGENDRE bur 17/11/1641 Fontaine-Raoul. She m. 1626 Bailli de Chauvigny-du-Perche, Francois DUVALLETT, who d. 20/3/1650 Fontaine-Raoul. Of the marriage 6 children. Magdeleine BEAUGENDRE bap 11/8/1643 Droue/Bourguerin having for godparents Jacques Beaugendre, priest of the parish of St Agil and Margaret Coudray. She m. 27/11/1662 Droue Jacques Oudineau (Contrat de Mariage ref: AD 41 E 282), and for a 2nd time c 1672 to Joseph BROISSIN, resident of Lignieres, Sieur des Granges (Contrat de mariage ref: AD 41 E 282). They were residents of Troo nr Montoire, Joseph was to be guardian of Francois Beaugendre their nephew, on ther death of his father Isaac in 1685. Valentin BEAUGENDRE bap 9/9/1646 Droue/Bourguerin, having for godparents, Valentin Huard and Francoise Chaufourneau. Anne Marguerite BEAUGENDRE bap 10/1/1648, Droue/Bourguerin having for godparents Gilles Derenty and Marguerite Coutel, m. 4/3/1669 Francois HACHARD merchant b. 5/10/1639 La-Ferte-Bernard, d. 8/3/1713. Jeanne BEAUGENDRE b. & bap 24/4/1708 Bazoche-Gouet having for godparents Jacques Barbe, marchand and Magdelaine Mercier of that village. Catherine BEAUGENDRE bap 29/11/1650 Bourguerin having for godparents Michel Dumans, greffier de Droue, and Catherine Duvallet, d. Bourguerin 25/10/1669 aged 18 years in the presence of her father and brothers. Alexandre BEAUGENDRE (3rd of name) b. 25/2/1654 Bourguerin, bap 3/5/1654 having for godparents Pierre Bigot bodyguard to th Duke of Orleans, brother-in-law of his mother, and Chalotte Bonehomme. Marie OUDIN bap 22/1/1699 St Valerien, Chateaudun d. 30/10/1767 bur next day St Valerien, Chateaudun aged c69 her burial witnessed by her husband, Louis Oxan her son and her beau-frere Antoine Houdin.m. Jacques ODSAN for full details see Audecent Genealogy. Marie HOUDIN b. 5/2/1702 Chateaudun m. Andre ODSAN for full details see Audecent Genealogy. I have some information relating to 'unconnected' lines of the family - see next page for details - Surnames, AUDECENT, AUDSENT, AUXANT, AUXENT, HODECENT, HODCENT, OCCEAN, OZANNE. The following photographs are taken from the extensive collection of family photographs in the possession of David B Audcent.